This is a NEW DW Collector's Series Maple/Mahogany 3 piece set with chrome hardware. Drum Sizes (depth x dia): 14x22 bass, 9x13 tom, and 16x16 floor tom. Set includes 3 floor tom legs. The sustain and projection of maple, married with the warmer quality of mahogany is fast becoming a favorite with studio and touring artists alike. This versatile wood combo comprised of mostly maple, with a mahogany inner and outer ply, is excellent for a wide variety of musical applications. Call if you need shell notes and construction specifics. 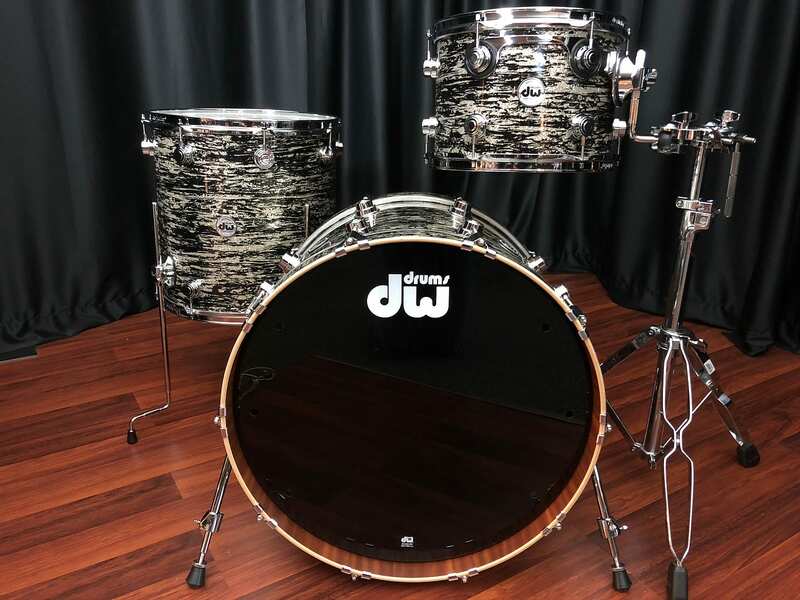 Every DW Collector's Series kit is custom made. 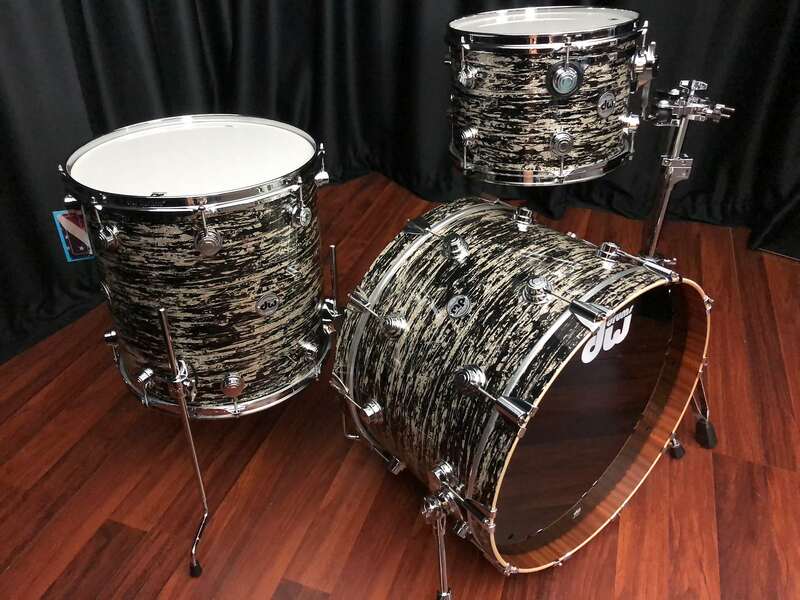 Hand-crafted with pride by DW Drum Co., California U.S.A.
Each shell in this kit is hand-picked to perform perfectly with the other drums in the set. 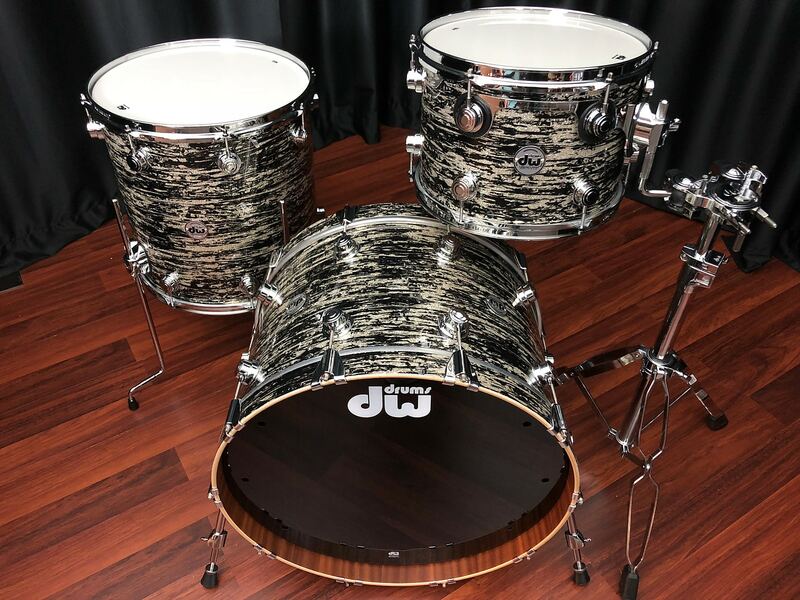 DW's list price on this amazing set of drums is $4726. Set was unboxed for photos. 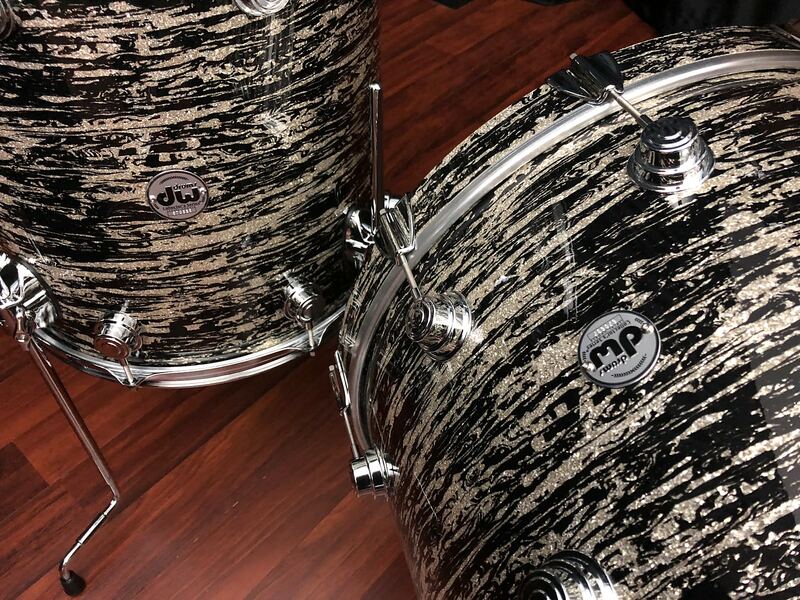 It ships new with warranty from Dale's Drum Shop - an Authorized DW Dealer. Any stands, snare drum, or cymbals pictured are available but not included. Contact us with questions anytime. A Drummer will respond to you promptly. Based on purchase price of $3,071.90 at 10% APR for 12 months. Excludes tax and shipping fees, to be calculated at checkout. Rates range from 10-30% APR. Choose from 3, 6, or 12 monthly payments. Select Affirm at checkout to get started.